Discover Australia’s famously colorful reefs. Lose yourself in the Bohemian style of maiden calls Airlie Beach and Mooloolaba, and relish the beauty of Bali. 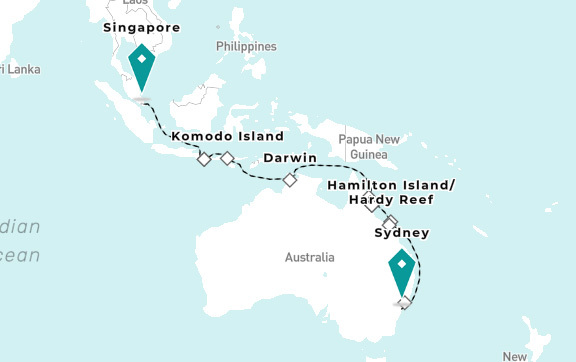 From close encounters with koalas to cautious greetings with Komodo Dragons, explore your wild side. * All fares and savings are per person, in U.S. dollars based on double occupancy. Fares are cruise only and do not include taxes, fees, and port charges of US$935 per person.